BotBeetle is free software for trading on Betfair Exchange markets. 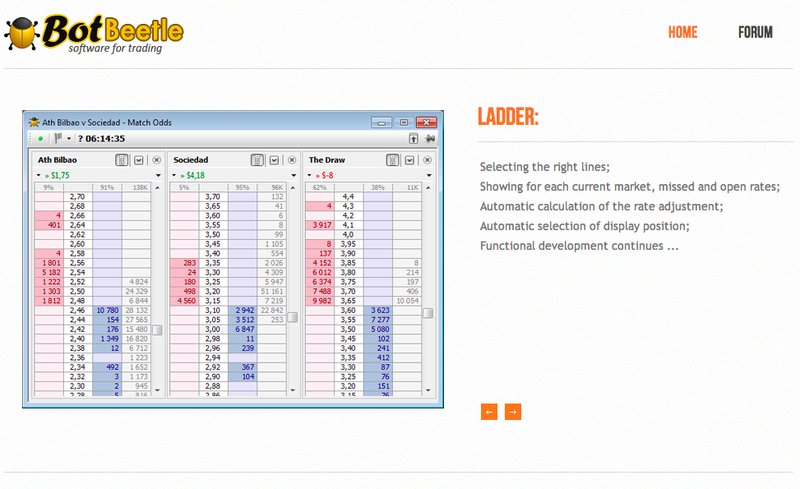 With a full view of the betting market in grid and ladder, you can navigate quickly to place, modify and cancel orders. The software includes various tools for trading including dutching, ladder, triggers, tick offset, one-click betting, Betfair charts and live results, BotBeetle is both for the more experienced user and the gambler who is taking their first steps into trading. BotBeetle - software for trading on sports exchange markets.